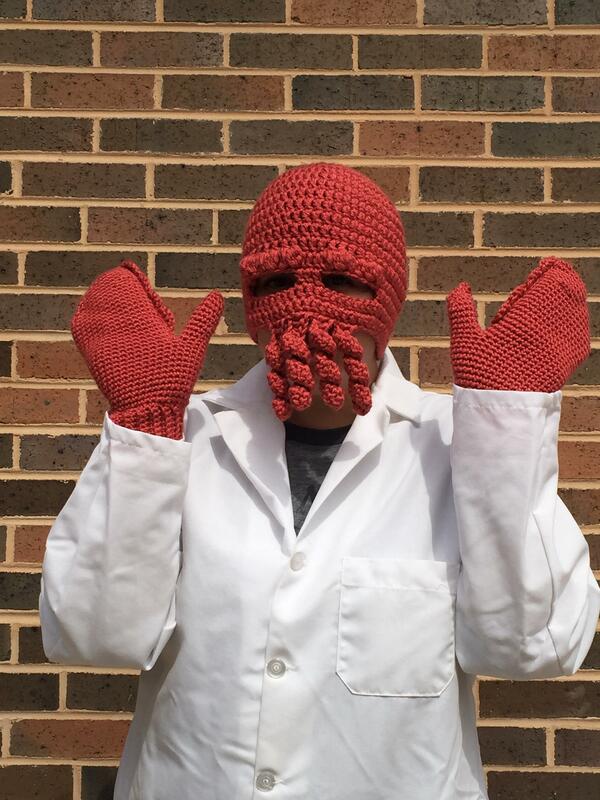 [Finished object] I made a Zoidberg hat and mittens. It was by far my weirdest photo shoot. 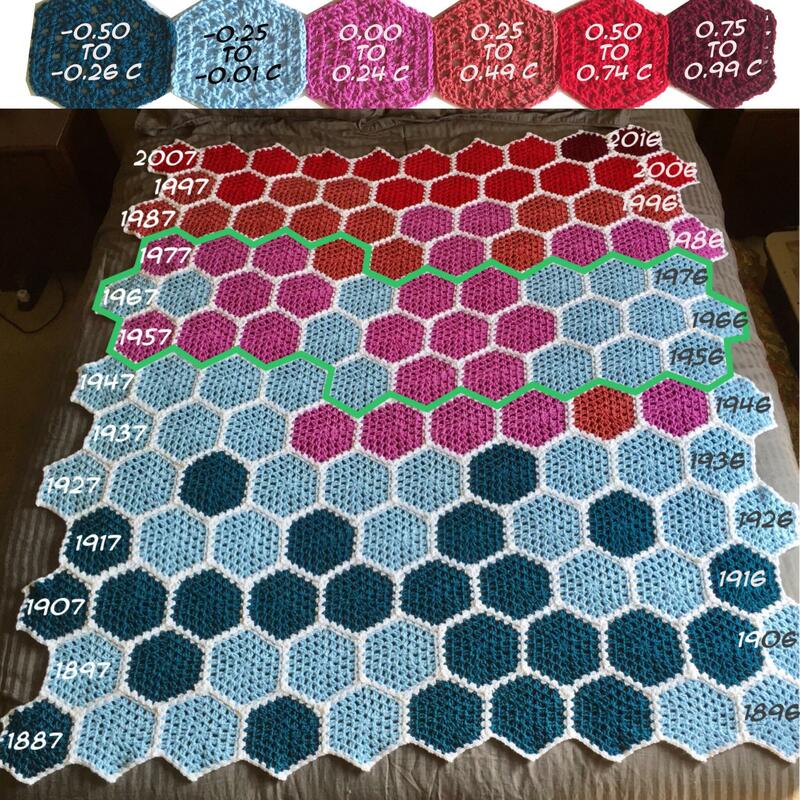 I made a temperature blanket showing yearly global temp from 1887 to 2016. 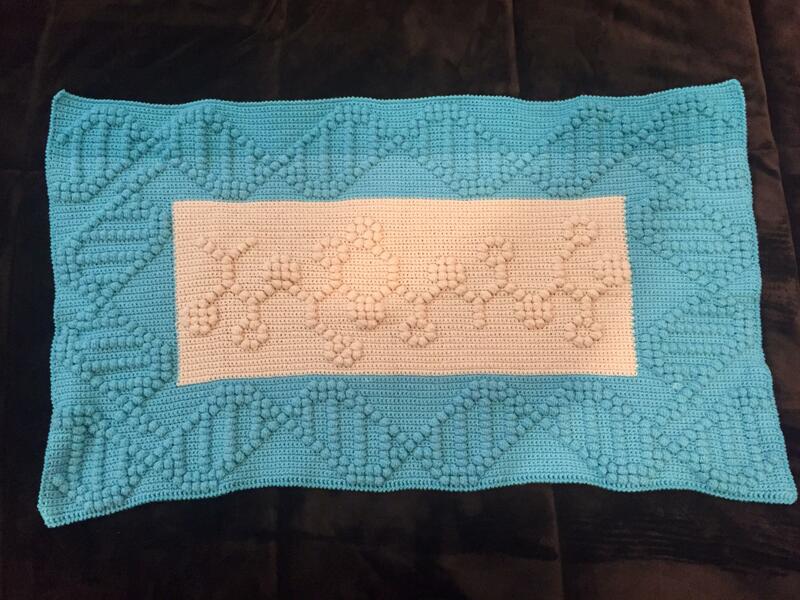 More info in comments. [Stash] I finally got some extra storage to organize my yarn corner! 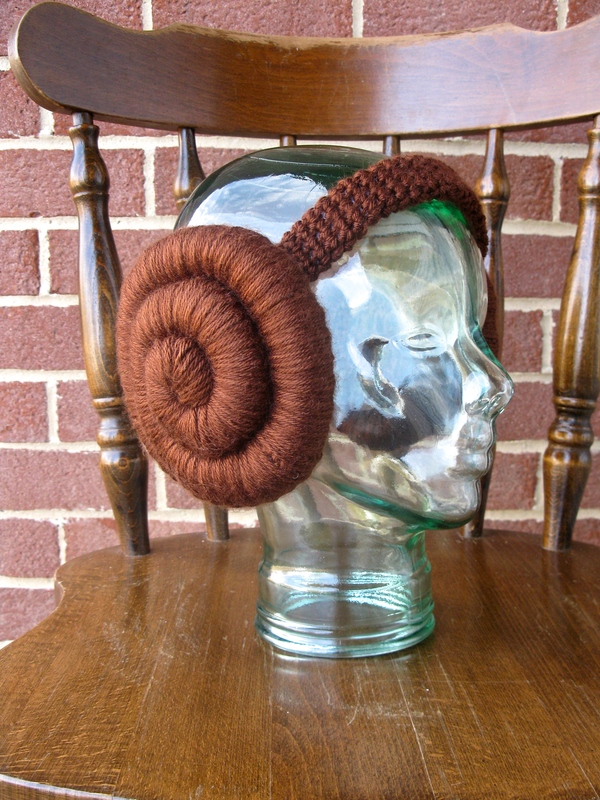 I finally finished this monster of a custom order! 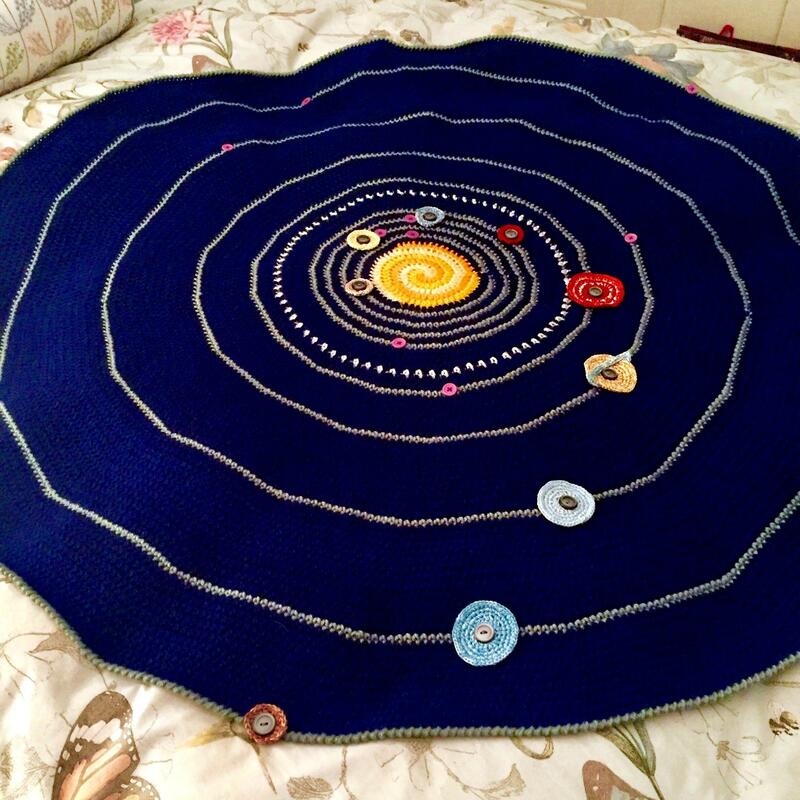 [OC] I made a crochet blanket showing the yearly global temperatures as deviations from the 1951-1980 average. 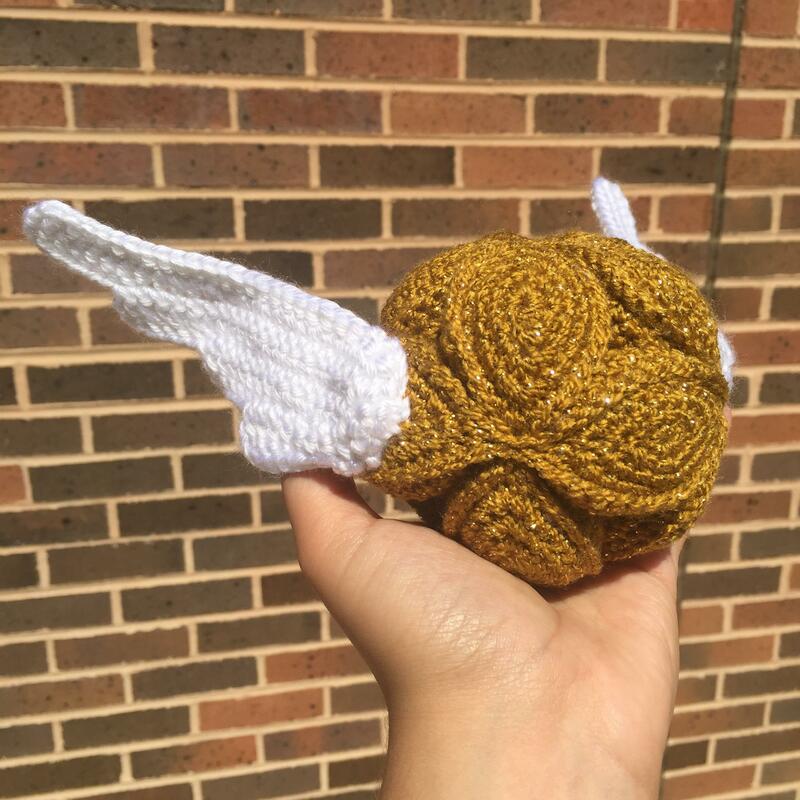 Made a double knit Batman reversible beanie! 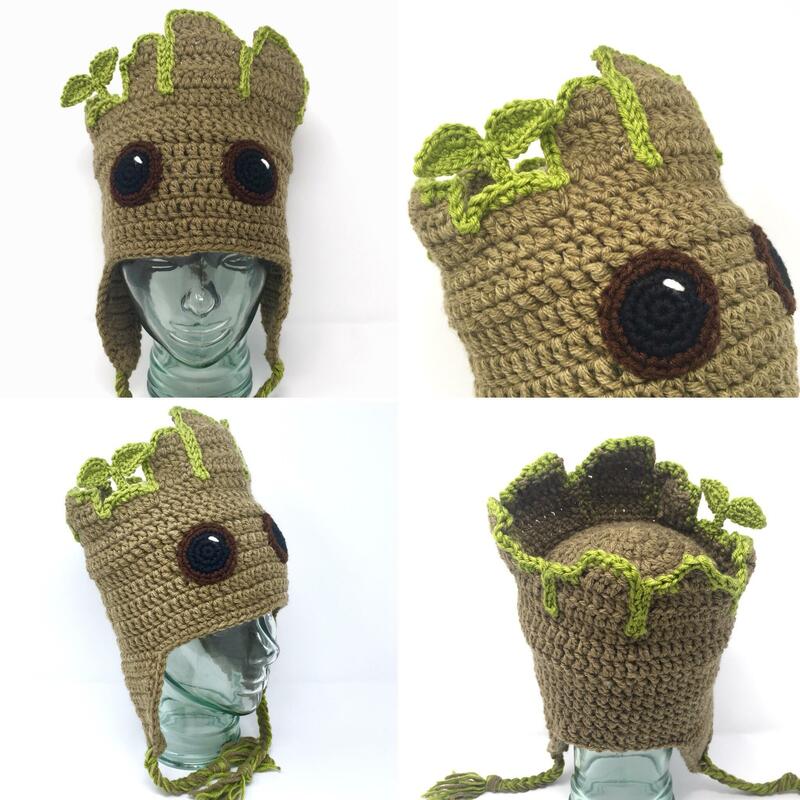 I made a Baby Groot hat, and I’m so pleased with how it turned out! 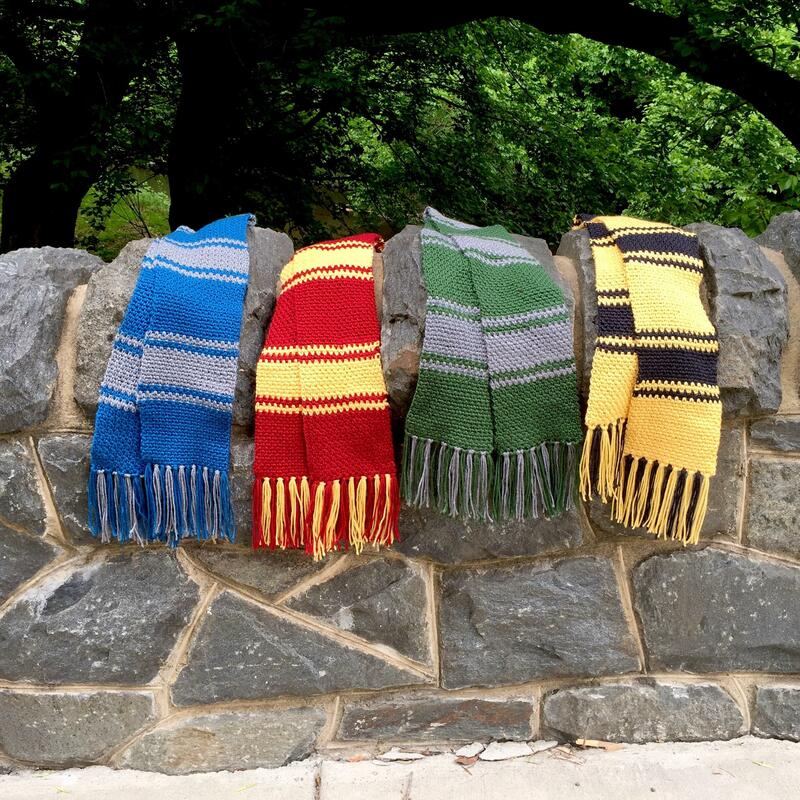 [Finished object] Here is my take on the Hogwarts scarves! 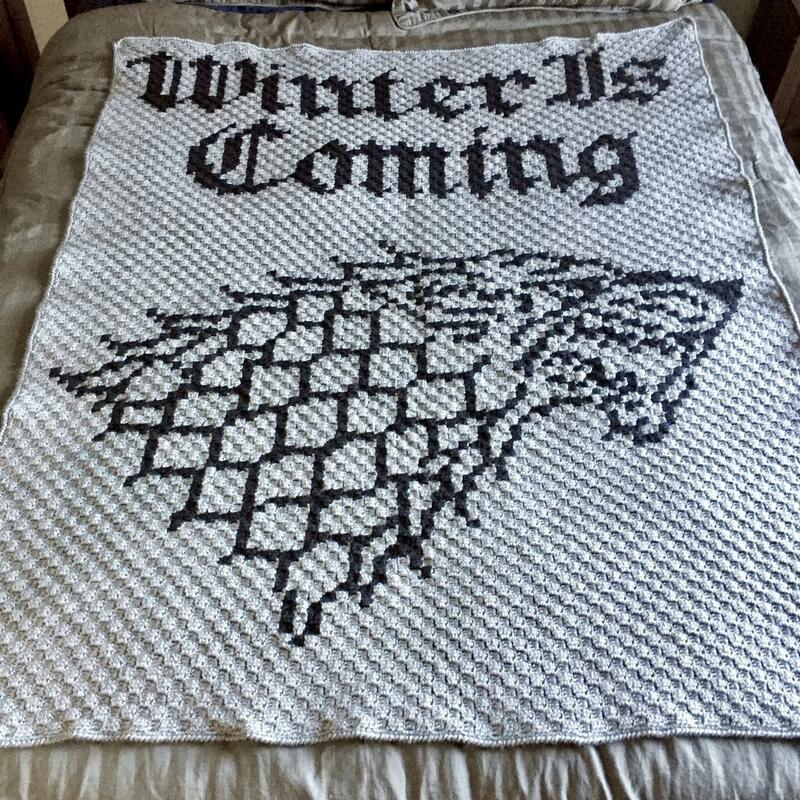 [Finished Object] I have FINALLY finished my Stark blanket. 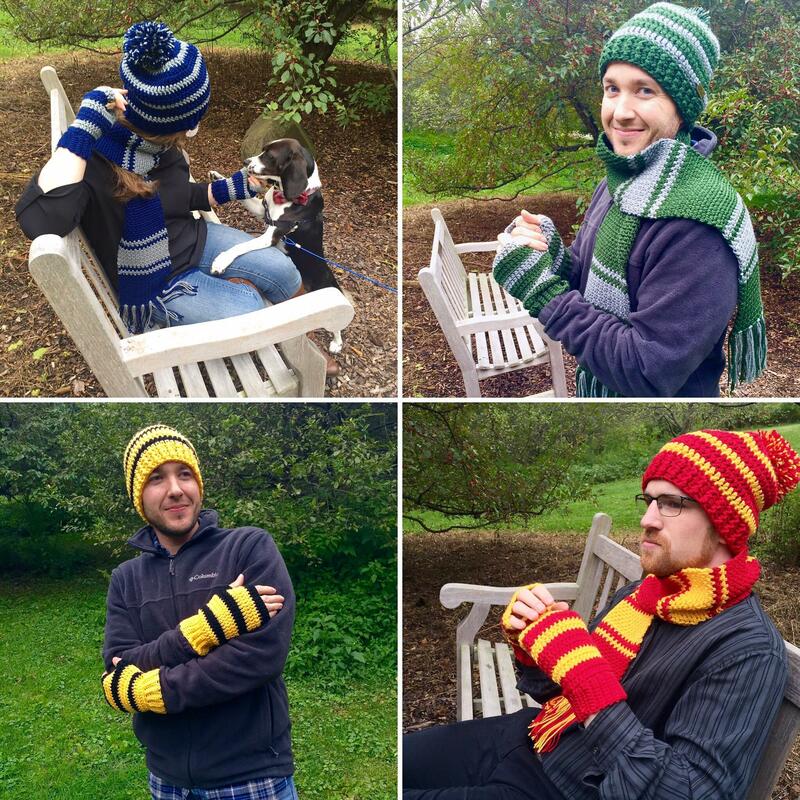 Winter is coming and I'm ready. 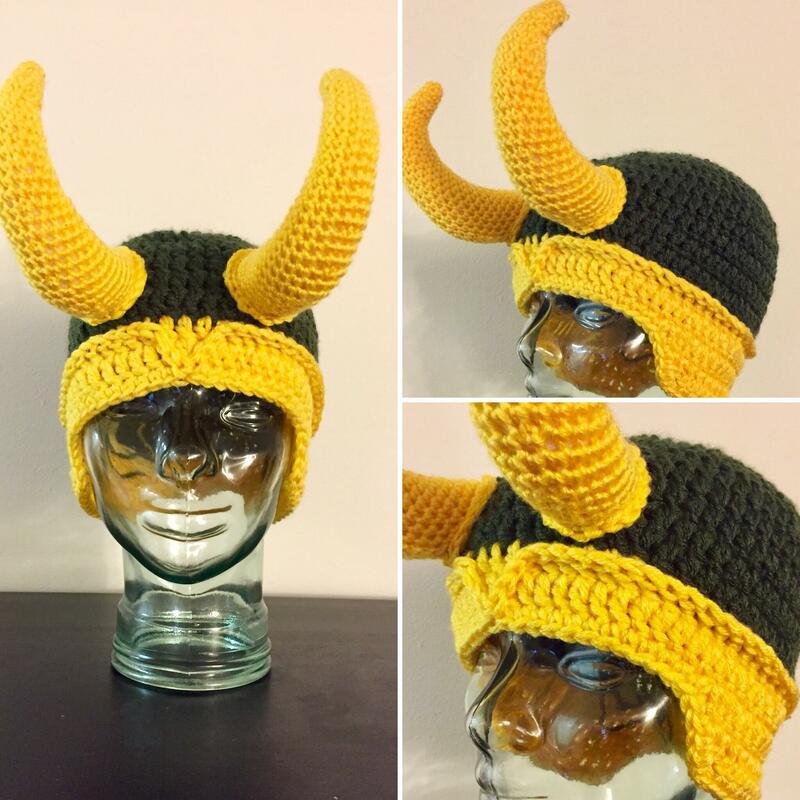 I made a Loki helmet for a custom order! 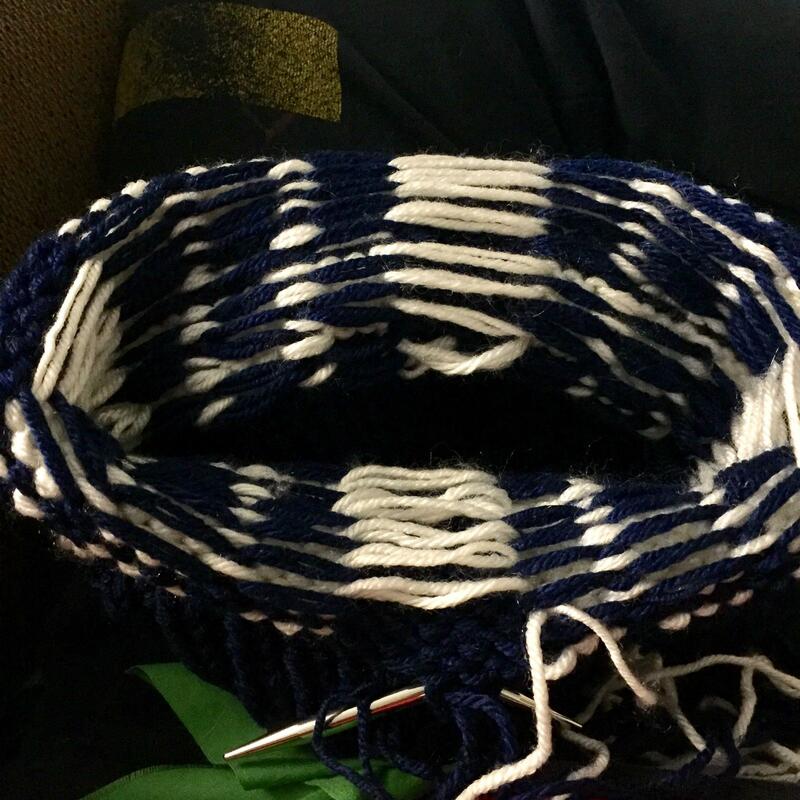 [FO] I made a Facehugger scarf for a custom order, and I was very sad to part with it. 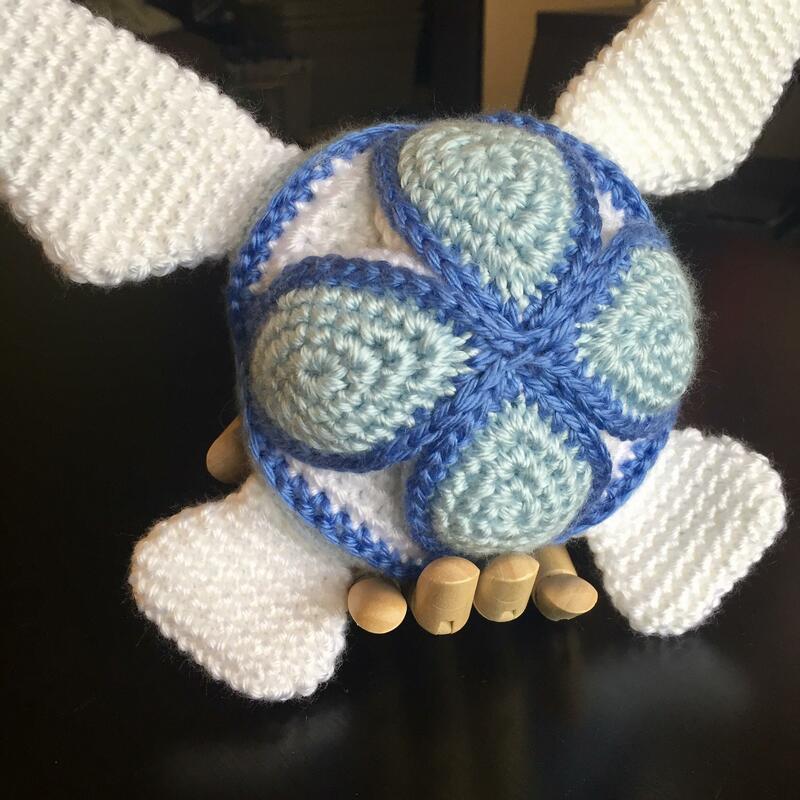 [Finished Object] I made a puzzle ball to look like Navi from Legend of Zelda. She doesn't talk, so she's much more pleasant. 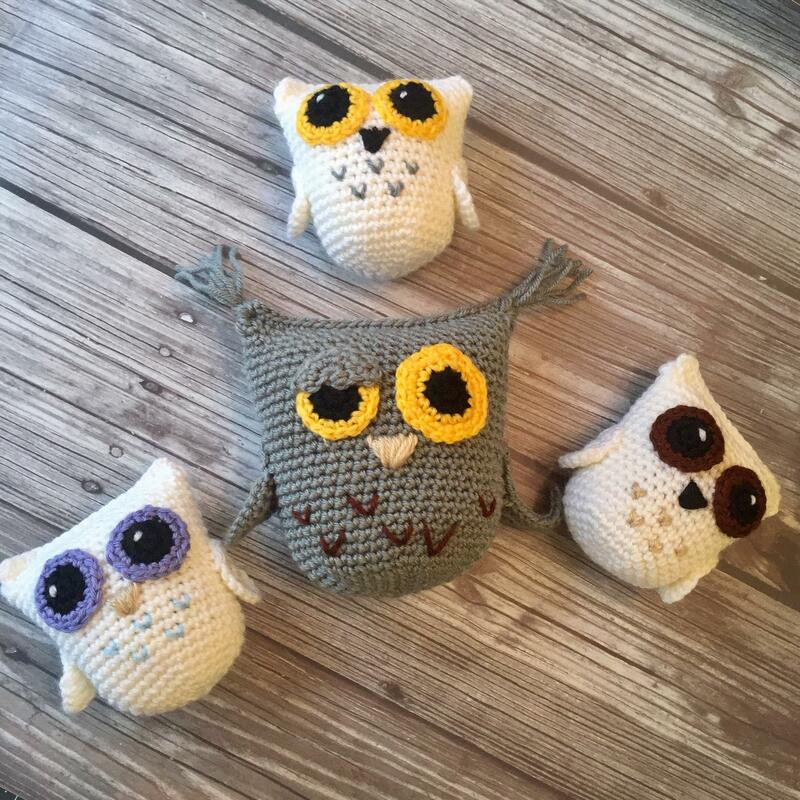 It's hard work being an owl. Especially with all the youngins up in your face. 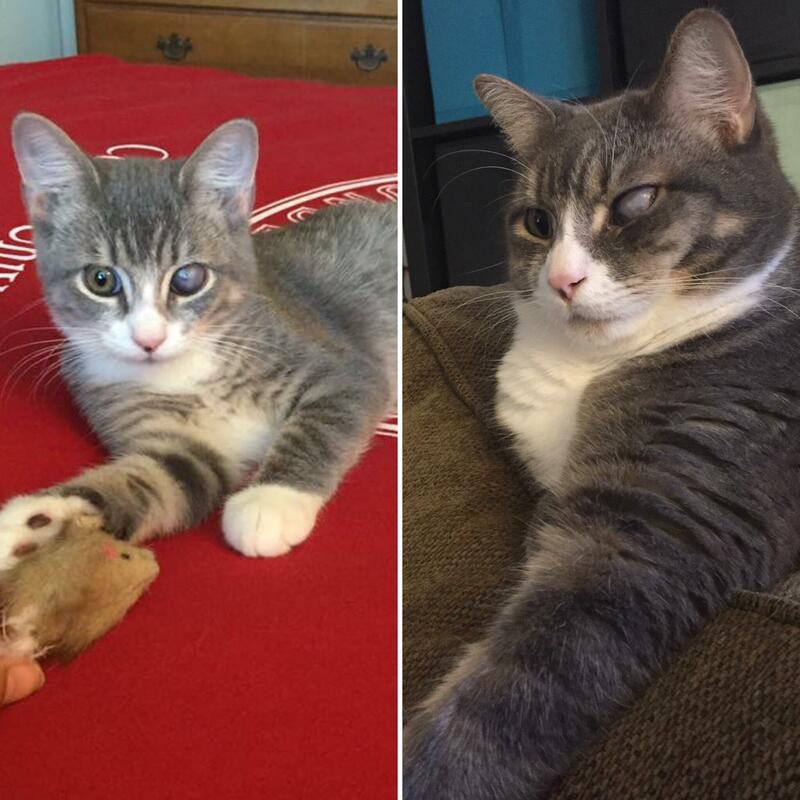 Today is Odin’s two-year adoption anniversary. How did my Wee Baby become my Fat Baby? I am Groot. 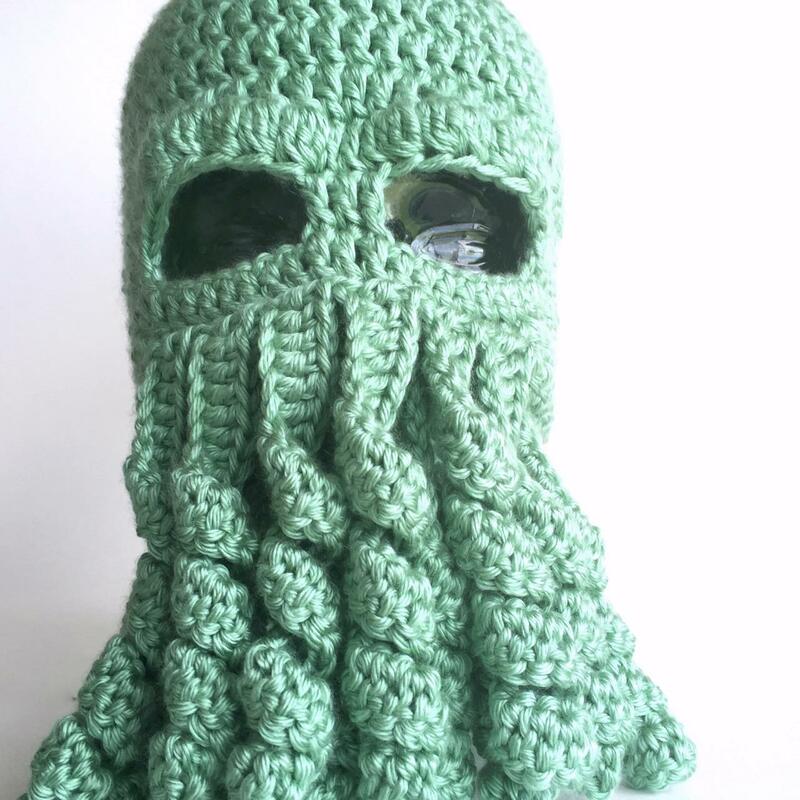 Translation: I crocheted this! 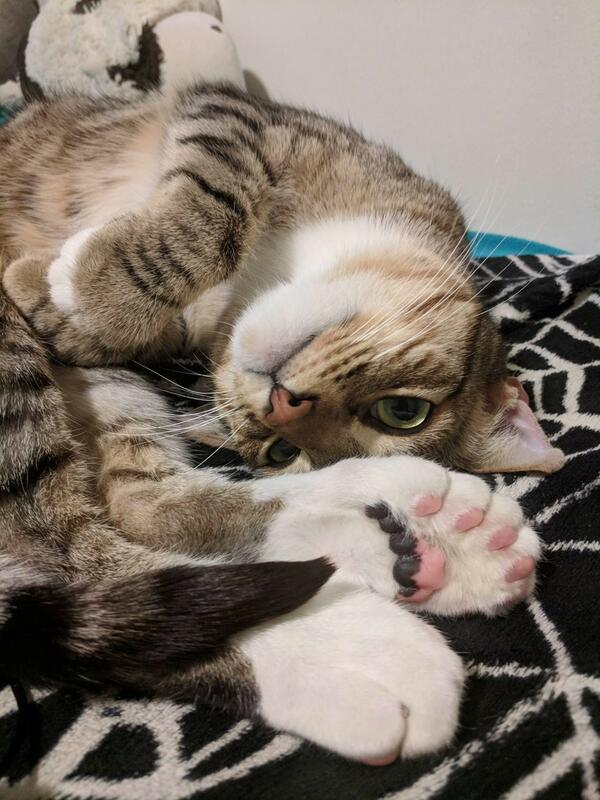 My friend is taking care of a kitty who not only has extra toes, but extra jelly beans as well! 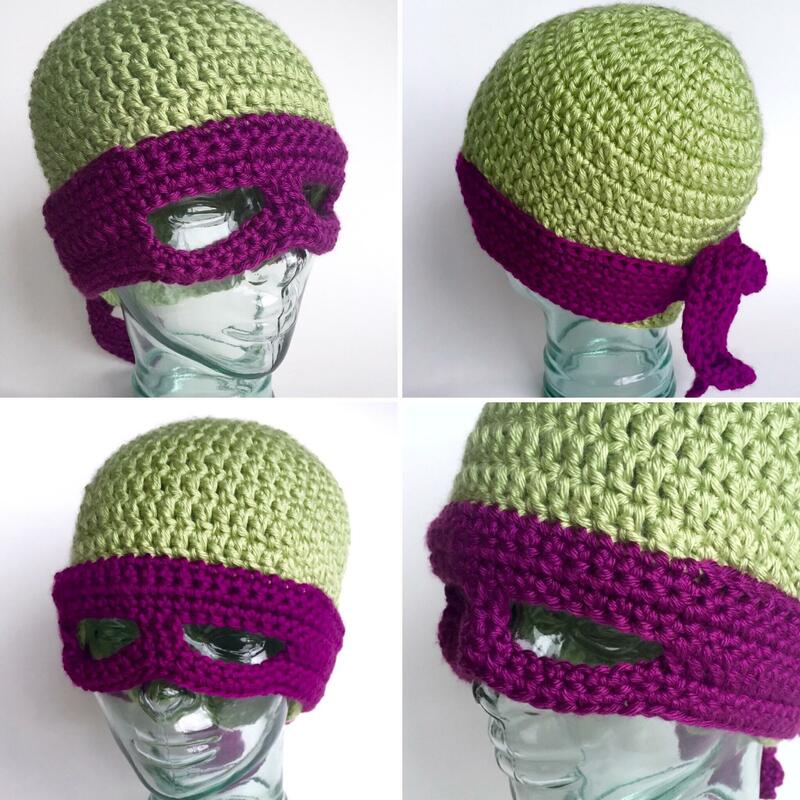 [Finished Object] I'm ready to get my pizza on - cowabunga! 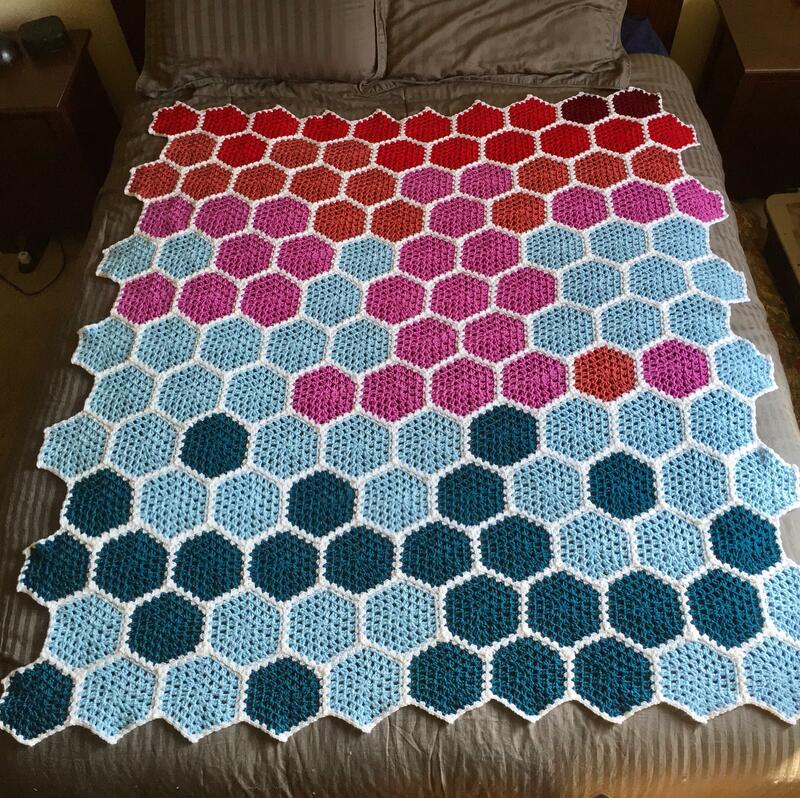 [WIP Wednesday] Trying my hand at C2C graphghan... 14 rows in, and it's already a mess. 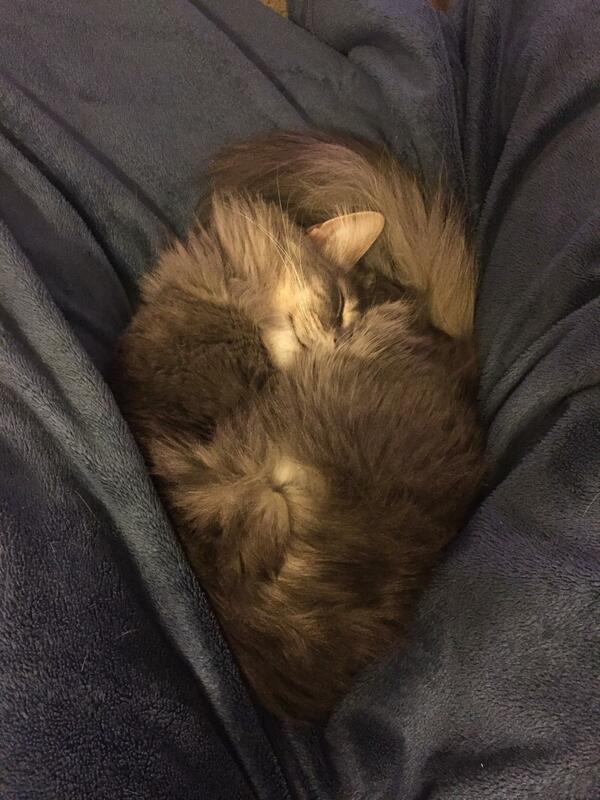 Mine has two eyeballs, but only one functional eye. 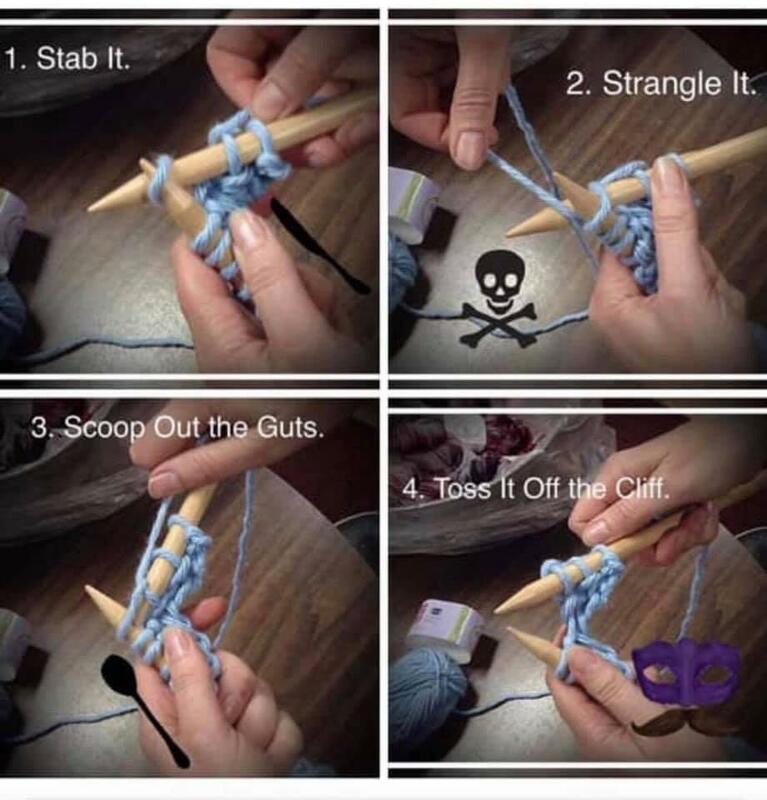 Does that count? 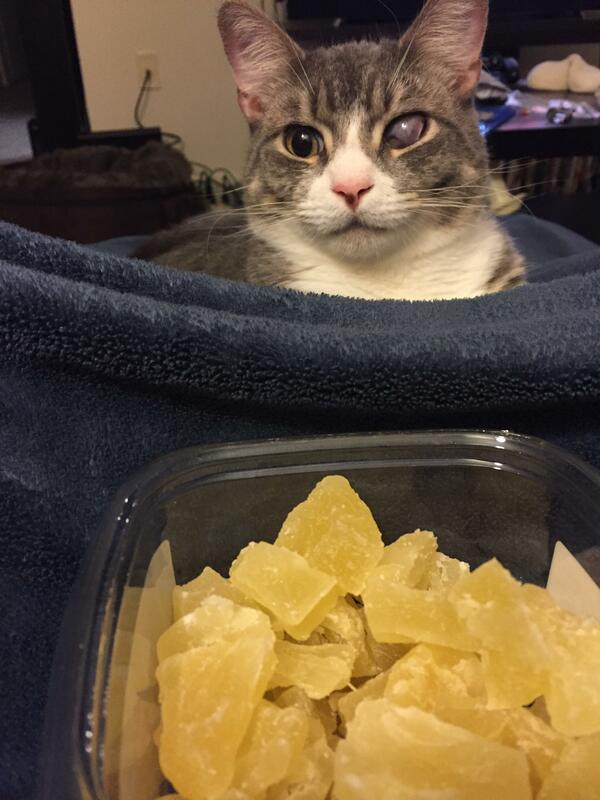 Also, he wants all human food, even dehydrated pineapple chunks. 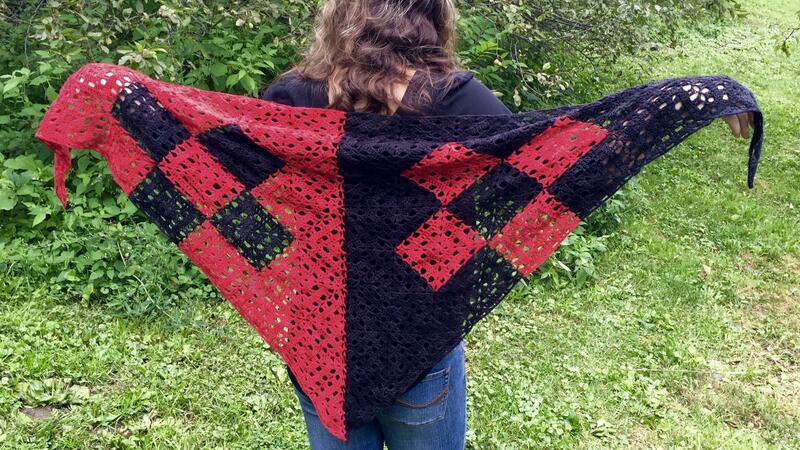 First time doing stranded colorwork - am I doing it right?